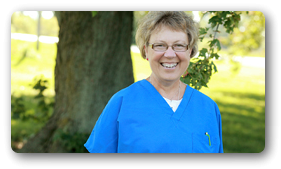 Rose has been a receptionist at the clinic since 2003! She loves that everyone at the clinic is a close-knit family, and she loves to make the clients feel the same way. Rose grew up in the Milford area and prides herself on trying to know everyone by their first name. Rose has two dogs Ginger, a Lhasa Apso that was rescued through New Hope Pet Rescue and Talula a one eyed shih tzu. She enjoys camping, kayaking, boating, and especially riding her motorcycle. Susan is the oldest living employee at the Milford Animal Clinic. 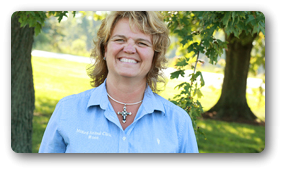 She lives on a 125 acre farm in Whitley County, where she has Registered Quarter Horses and feeder cattle. Susan shows on the buckskin circuit and at quarter horse shows. Susan recently got a "George" online, and they enjoy waterfights and scaring each other. She also has one dog Cassidy, a corgi, nine cats: Jack, Jill, Monique, Unique, Clark, Carla Maxine, Blaze and Todd. 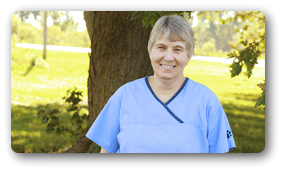 Karen has worked as a veterinary assistant and receptionist at Milford Animal Clinic since 2001. She and her husband, Dennis, live south of Leesburg on a five acre mini-farm, where they have a miniature horse and donkey; Tennessee fainting oberhasli, nigerian dwarf, nubian and boer goats. They also have five shih-tzus, two great Pyrenees, and four cats. Karen and Dennis also have two adult daughters and two grandsons. 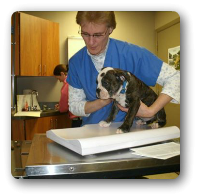 Catherine Bogdon comes to Milford Animal Clinic with over twelve years of experience as a veterinary assistant. Her love of animals spills over into her personal life as she enjoys fostering,rescuing and rehabilitating animals in need. In her free time she loves being outdoors, trail riding, and spending time with friends and family. She is the proud owner of a Golden Retriever mix named Daisy, golden retriever puppy Maverick, her three legged cat Patience, new kitten Goose, Gus the rabbit and Duncan her cockatiel. Chanda is a lifelong resident of Warsaw and joined the MAC team in September 2014. She brings 28 years of small animal care and knowledge. 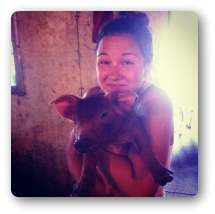 She is excited to be a part of a team that shares he same passion for helping animals. When a pet comes through our doors for help she feels it is rewarding to know the wagging tail going out the door will feel better thanks to our efforts. 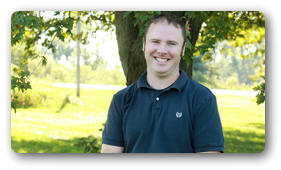 Chanda feels it is a joy to come work with such a knowledgeable, fun, and dedicated staff. She loves that we treat our clients like we would want to be treated with respect, understanding, and empathy. Her interests outside of work include photography, golfing, reading, and hanging out with family and friends. Chanda was Miss Indiana Basketball 1978, and plays a mean game of Horse! Hannah lives near Claypool and started working at Milford in May 2015. She Began her career with animals in 2007. Hannah is a graduate of Warsaw Community High School and attended IPFW thereafter. Hannah married Trent Bogenwright and they have a family show pig operation where they spend most of their free time. 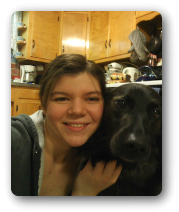 Hannah has a Siberian husky named Nigel and a farm dog named Lady. In addition, Hannah enjoys crafting, hunting, being out on the lake, and spending time with family and friends.